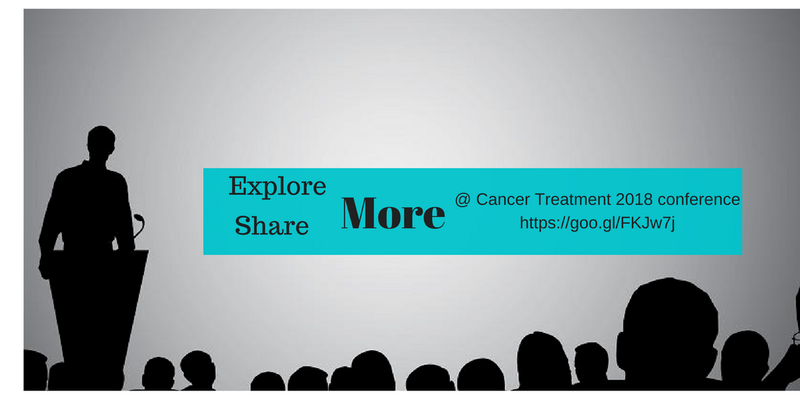 Conference Series invites all the experts around the world to attend the International Conferences on Cancer Diagnostic and Treatment 2018 going to be held in Oslo, Norway from 2 to 3 August 2018. Theme of the conference “Torch your light to develop a cancer- free world”. Cancer Treatment 2018 conference will acts as a forum for Directors, Professors, Researchers, Oncologists, Cancer Specialist, Students, Foundation Leaders, Industrial Professional, Statisticians, Clinicians, Academicians, Doctors, Medical Oncologists and others from all over the world to share their values knowledge and experience about the cancer research, to stimulate Young Researcher on new ideas for treatment and analyses of the current market and for the future direction in cancer vaccine, instrument with less side effect of therapy.